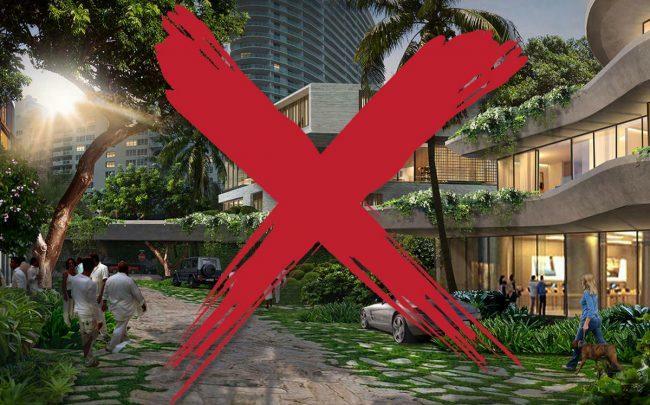 Developer Todd Michael Glaser killed his plans to build a 15-acre mixed-use district in western South Beach, saying he won’t pursue it unless there’s an outcry from area residents and property owners demanding it. Glaser said he withdrew his West of West overlay district proposal a day before Wednesday’s Miami Beach Land Use and Development Committee meeting after city planners criticized aspects of his plan, including allowing restaurants and retail in what is now a largely residential area. “This was the biggest opportunity for Miami Beach to shine worldwide and show that it’s coming back from Wynwood and the Design District, because [people] want to see something that’s innovative,” Glaser told The Real Deal. Glaser, along with real estate investors Jarrett and Sean Posner, Fred Carlton, and Charlie Ratner, had proposed creating an urban community resistant to flooding and sea level rise designed by Miami Beach-based Domo Architecture + Design. It would have elevated promenades and parks between 16th Street, Bay Road, 14th Street, and the Alton Road alleyway. As the “West of West” moniker implies, most of the proposed district is west of West Avenue. It’s a sector that’s already located within the West Avenue Bay Front Overlay, a residential district of single-family homes, small apartment buildings, and low-rise condominiums that allows for new development up to 50 feet in height as well as limited office and bed & breakfast type hotels. Glaser said he and his partners want to build within that 50 feet requirement. However, besides residential units, Glaser also wants to be able to construct retail stores up to 3,500 square feet in size, restaurants with up to 100 seats and outdoor cafes, as well as parking lots and underground garages. Glaser said he and his associates invested about $10 million buying nine houses in the proposed WOW District. However, he insisted that he had several pending deals to purchase condo units and houses in that low-lying area where flood insurance rates are skyrocketing. But now Glaser said he’s walking away from property owners who were eager to sell. “People are freaking out,” he claimed. Nancy Liebman, a former Miami Beach commissioner affiliated with the Miami Design Preservation League, said Glaser was trying to “take over a whole big piece of a community” that “he doesn’t even own.” Liebman said that Glaser was trying to use the threat of sea level rise to bulldoze a unique part of Miami Beach. Instead, area homeowners should consider creating a historic district or conservation district that would help protect the neighborhood from rapacious developers. Commissioner Arriola said he’d like so see the area turn into what Domo Architecture proposed, which Arriola described as a green version of Sunset Harbour, a once low-lying area of condos, retail, bars, cafes, and restaurants that doesn’t flood quite as often thanks to raised streets and city-operated pumping stations. “This would be the first Sunset Harbor-like mixed-use [area] that is actually very green in nature,” Arriola said. Glaser isn’t that disappointed though. He predicts that home prices will go down over time now that the overlay district is in “limbo.” “It’s a buying opportunity,” he said.